Joyleen (16) comforts her little brother Nathan (4) as he recovers from the brief shock of a potentially life-saving measles vaccine injection. The tears soon disappear and he is quickly back to his curious and social self. The community health centre, one of the few buildings on Ifira Island to survive the full force of Category 5 Tropical Cyclone Pam, is crowded with parents, siblings and grandparents bringing their young children between 6 months and 5 years of age for measles vaccinations, deworming tablets and Vitamin A pills. 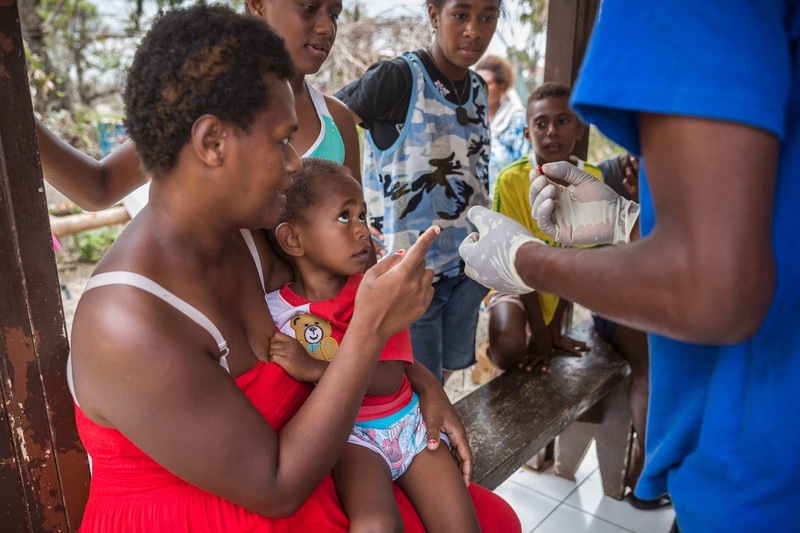 Vanuatu was facing a measles outbreak before the cyclone hit so UNICEF prioritised support to Vanuatu’s Ministry of Health in the days after the storm, launching a campaign to immunise 10,000 children under the age of five years in just 10 days. It’s Day 8 and the teams of vaccinators have already reached 7,500 vulnerable children who will now face one less risk as families who have lost their homes shelter together with friends, family and neighbours. 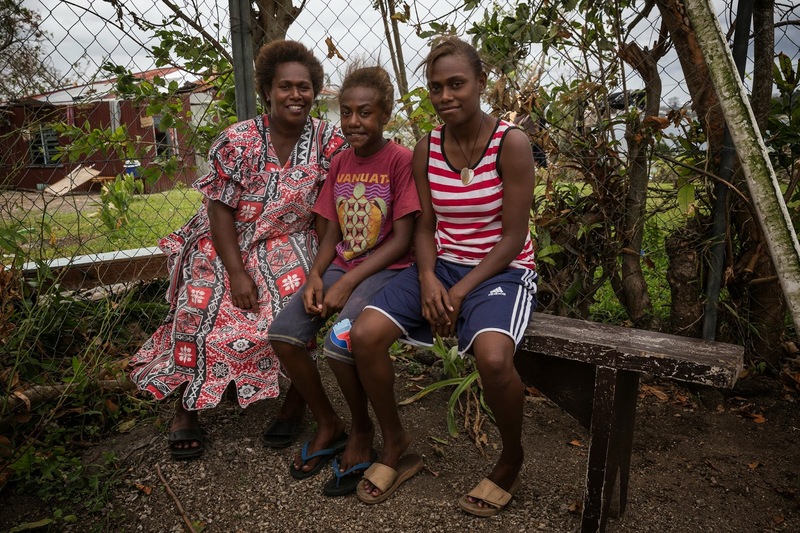 Joyleen and her sister Lawrence (11) should be at school, but both schools have been affected by the Cyclone. 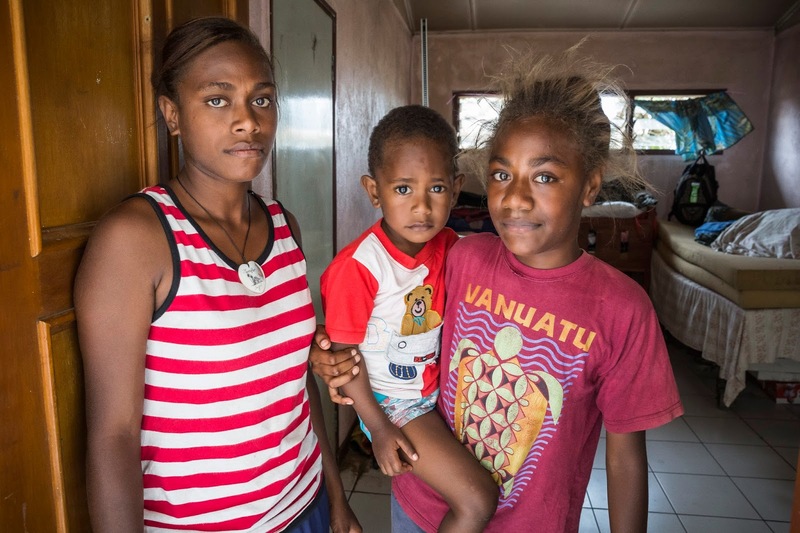 Lawrence hopes to return to her school in a few weeks’ time but Joyleen, a volleyball enthusiast who is studying hard for important year-end exams has at least two months to go before her badly-damaged school reopens.